Charlie P. Rose, J.D. - Academic Assembly, Inc.
Charlie is a shareholder at Hogan Marren Babbo & Rose, Ltd., and co-chair of the firm’s Education Practice. Charlie represents education institutions, education-related businesses, private equity firms, state government agencies and municipalities, foundations, and tribal nations. 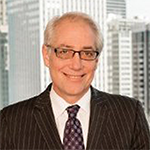 He advises his clients on matters such as regulatory compliance and reform, education law and policy, civil rights, corporate transactions, public-private partnerships, and labor-management relationships. Formerly, Charlie served as the General Counsel for the U.S. Department of Education from May 2009 to July 2011 – a position for which Charlie was nominated by President Obama and unanimously confirmed by the U.S. Senate. As General Counsel, Charlie was a senior official in the Obama Administration and advised the U.S. Secretary of Education on all legal, regulatory and policy matters as well as education reform initiatives. Charlie is active in community service and is a frequent speaker on education law and policy. In 2014, Charlie was nominated by President Obama and unanimously confirmed by the U.S. Senate as a member of the Board of Trustees of the Morris K. Udall and Stuart L. Udall Foundation, a federal agency focused on environmental matters and Native American causes.